After several posts on my home water cistern, I thought it would be fun to share what White Deer Park in Gardner is doing with rainwater. 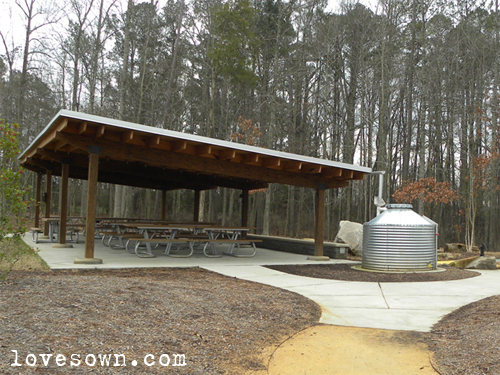 White Deer Park was built on land with its roots in agriculture, so they chose to have their cisterns resemble silos and built structures with lean-to roofs. 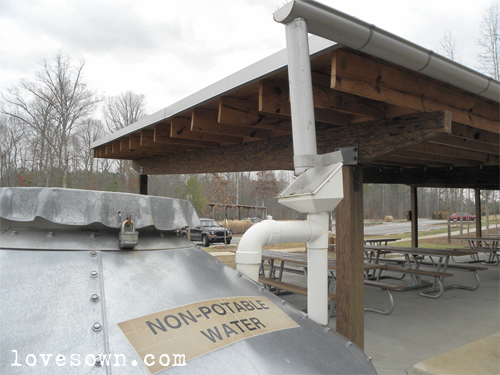 Their picnic shelters all have cisterns to capture runoff. I'm not sure what most of them are used for, but one of these feeds into a hand pump in the natural playground and squirts out into a small constructed concrete stream that runs through the play area and under a foot bridge. The pump requires some priming, and when I finally got it running, the rusty color of the water told me that I was the first in a while to use it. If you decide to visit, take a bottle of water! I was given a tour of the facilities by Stephanie in the office. 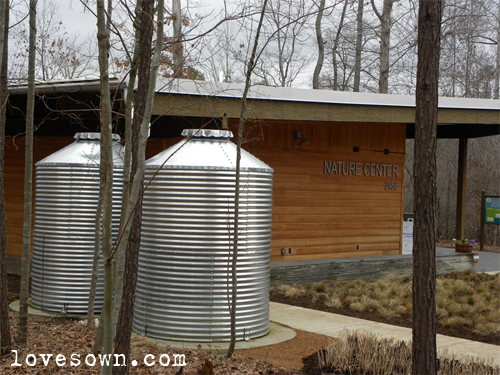 The LEED Nature Center building has two large cisterns that are used for the toilets. These two cisterns are connected underground so that they are always at the same level. 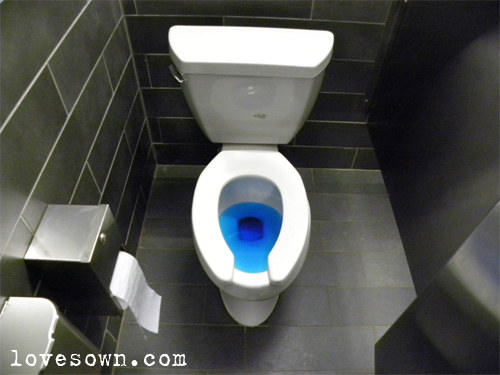 The rainwater is filtered and colored with a food grade dye to make it obvious to patrons that the water is non-potable. So as to avoid any potential crossing of potable and non-potable water lines, the cisterns are refilled with potable water when levels get too low rather than having a potable line feed directly into the toilets. 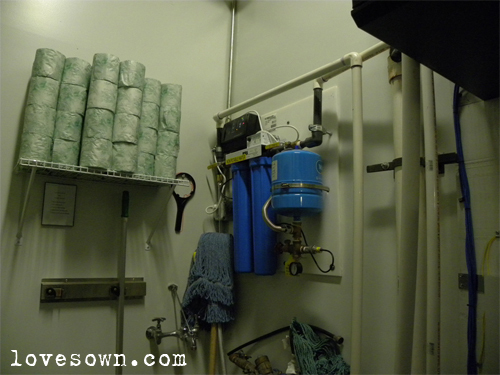 So long as the filter is regularly maintained, the system is always operational. I love that their are plenty of educational signs around the park for the public. The more accessible these practices are, the more I think we'll see them adopted for home use and incorporated into new designs.